The ECE Department held its Annual Research Review (ARR) on Friday, April 20, the first one after the department’s name change. To highlight the name change, this year’s ARR focused on our research strengths in the fields of computer engineering and embedded systems. 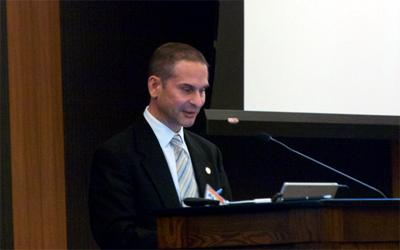 Industry experts, faculty, and students were among the 200+ audience members. ARR is an opportunity for the department to publicize the top-notch research that takes place within it. It also serves to build a symbiotic relationship between academia and industry. While industry and government representatives are informed about latest technologies, students have the opportunity to network with industry representatives, and faculty are informed on how better to train future members of the industry. The event started off with introductions from Jayathi Murthy, dean of the UCLA Henry Samueli School of Engineering and Applied Science, and chair of the ECE department, Gregory Pottie. Dean Murthy outlined her vision for the engineering school, for the department, and how she would be able to support the department’s efforts. Professor Pottie, meanwhile, presented his plans for both the graduate and undergraduate ECE programs. Shortly after, Paul Dietz, who is the CTO and Chairman of the Board of Misapplied Sciences, delivered a talk on “My World,” where he introduced his company’s revolutionary parallel-reality display technology, to a rapturous audience. This technology allows many different viewers to view completely different images at the same time, from a single display. Right after, four new faculty members – Sam Emaminejad, Ankur Mehta, Jonathan Kao and Aydin Babakhani – introduced themselves and their research work to the audience, a means to keep the industry in loop with changes in the department. Then, the crux of the event took place. 27 student talks were delivered, from wide-ranging areas like Technologies for Wearables & Implants, Modern Computing Systems, and Medical Electronics. Professors had nominated these students to deliver the talks, for their top-quality research projects. Many students have had their research published in journals, while some have them pre-published. 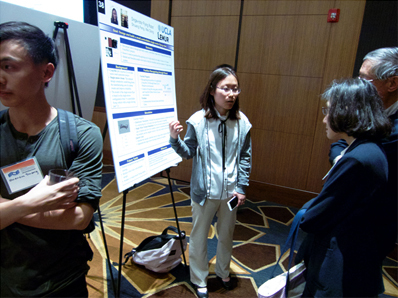 After the talks, other students were given the opportunity to present their projects, in a poster session where around 100 posters were displayed. These students interacted with faculty and industry members, discussing their project methodology, goals and challenges, in what was a great learning experience for them. Awards were presented for the best presentations as well as student talks. Another talk was delivered by, UCLA computer engineering alumnus and ex-student of Professor Mani Srivastava, James Carwana, who is VP of Intel Sports and is revolutionizing the world of major league sports. He informed the audience on how Intel was introducing immersive experience to the sports industry, via AR/VR. Here, a dome on the exterior of the stadium is fitted with sensors and videos, which would be able to provide more dynamic viewing for customers of service providers, who can potentially choose their viewpoints, like a quarterback’s point of view. This year, the ECE department newly introduced Afternoon with Industry event. A brainchild of Professor Chih Ken Yang, this event was introduced to encourage more direct and informal interaction between industry and graduate students. Various industries from Aerospace to Integrated Circuits to Defense Systems were represented, in what turned to be a great success. All in all, a highly engaging and informative research review took place, for which ARR co-organizers Professors Sudhakar Pamarti and Ankur Mehta, as well as Department Chair Gregory Pottie, could be proud of. 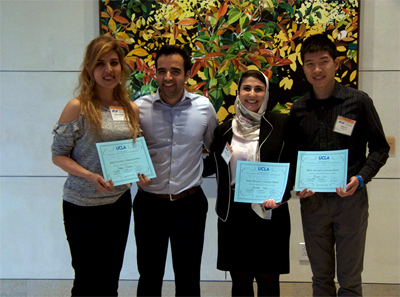 They look forward to even greater participation of UCLA students in next year’s ARR.